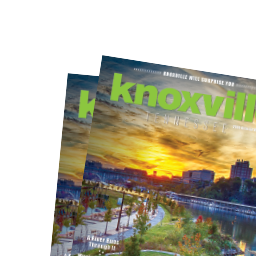 It&apos;s inauguration week, but the next few days offer a few good reasons to celebrate some especially creative Knoxvillians who&apos;ve each left us something to experience. Jan. 18 is the 138th birthday of painter Catherine Wiley, regarded as Tennessee&apos;s greatest impressionist. She was born in Campbell County, but grew up in the Fort Sanders neighborhood and attended the University of Tennessee. Later she kept a studio on White Avenue. There&apos;s considerable mystery about her life. Her most common themes were mothers and children, but she never married or had children of her own. Although she was popular, active and sociable in her early years, a leader of the vigorous Nicholson Art League, in her mid-40s she was quietly institutionalized in a mental institution in Pennsylvania, where she died in 1958. She&apos;s buried at Old Gray Cemetery Her colorful oil paintings are on display at the Calvin McClung Collection in the History Center and at the Knoxville Museum of Art. The following day, the 19th, is the 78th birthday of rock&apos;n&apos;roll pioneer Phil Everly, who died three years ago. (Older brother Don, who will soon turn 80, survives.) Phil Everly was born in Chicago, but spent most of his youth in Iowa. He and brother Don moved to Knoxville as teenagers with their parents to perform on local radio station WROL when they were a family act. They lived in Knoxville for less than three years, attending West High, but during this period began performing together as a duo, and began experimenting with a new form of music they discovered in an offbeat record store on Cumberland Avenue around 1954, something called rock&apos;n&apos;roll. They perfected the form, with hits like "Bye Bye Love," "Wake Up Little Susie" and "Cathy&apos;s Clown." They were so successful that a couple of younger lads in Liverpool, blokes named John and Paul, tried hard to sound like them. Bearden, near where the Everly Brothers once lived, is in the process of honoring their legacy with a public park at Kingston Pike and Forest Park Blvd. The site of their first broadcasts is also featured on Visit Knoxville&apos;s newly refreshed Cradle of Country Music tour. The next day, Jan. 20, is presidential inauguration day, but it&apos;s also the 91st birthday of actress Patricia Neal, who died in 2010. She was born in rural Kentucky, but grew up in Knoxville, the daughter of an executive in the coal industry. She attended old Knoxville High on Fifth Avenue, when she began acting, in high-school and community groups. After moving to Hollywood in the 1940s, she appeared in a wide variety of major motion pictures, including The Fountainhead, The Day the Earth Stood Still, A Face in the Crowd, Breakfast at Tiffany&apos;s, The Subject Was Roses, and Hud--for which she won an Academy Award for Best Actress. All that in spite of the fact she suffered a series of crippling strokes when she was only 39. She survived to found the Patricia Neal Rehabilitation Center in her hometown. And Jan. 23 is the 189th birthday of Charles McClung McGhee, a prominent railroad industrialist of Knoxville&apos;s post-Civil War boom years who, among other things, established Tennessee&apos;s most durable public library in 1885. He named Lawson McGhee Library after his daughter, who had died young. The original library, the first of three buildings, still stands on Gay Street at Vine Avenue; it&apos;s known as the Rebori Building, named for a later owner, Italian immigrant Fiorenzo Rebori. A later Lawson McGhee Library was built on old Commerce Street, and torn down in the 1970s. But our current library, on Church Avenue, still stands as a memorial to his daughter, as was his wish in 1885.